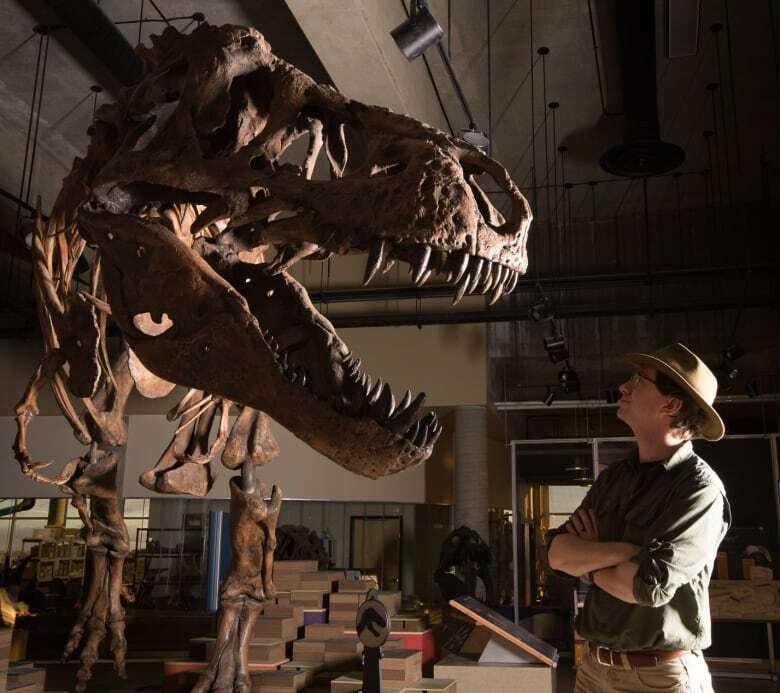 Saskatchewan's Scotty has officially dethroned Chicago's Sue as the biggest Tyrannosaurus rex ever found. Now, according to an article in a scholarly journal, it has bragging rights to a new title — the most massive Tyrannosaurus in the world. Scott Persons is a postdoctoral researcher at the University of Alberta Department of Biological Sciences. He was pulled into the project comparing T-rexes in 2010. Persons, along with Philip Currie and Gregory Erickson, published a paper in The Anatomical Record Thursday announcing Scotty's new status as the king among kings of the dinosaurs. "The difference between them is only about 400 kilograms in Scotty's favour," Persons said. Scotty was 13 metres long while Chicago's Sue was only 12.3 metres long. Persons and his team discovered that Scotty lived quite a difficult life. He had an infection in his jaw and suffered from broken ribs. 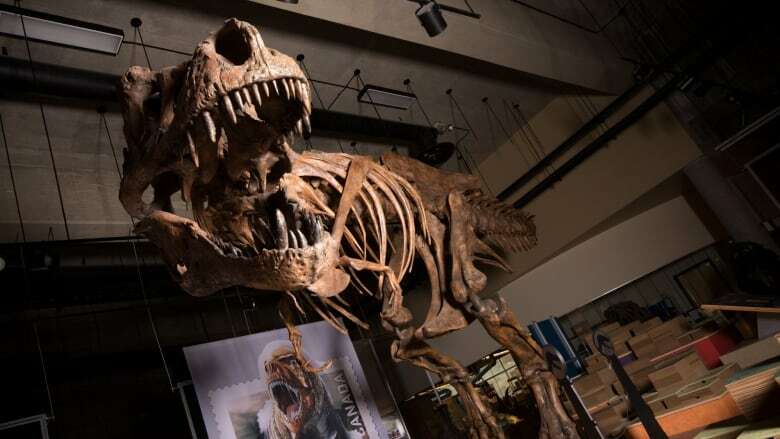 "It has got severe damage to a portion of its tail which may be the result of a bite wound from another Tyrannosaur," Persons said, "Scotty lived a violent life." Persons says that Scotty reached the "ripe old age of 30" but they do not know whether Scotty was a male or a female. "The name Scotty comes from the celebration that was held after the skeleton was first found in the field," Persons said, "The crew wanted to raise a glass to Scotty and at that point the only suitable spirits they had left was an old bottle of scotch." A previous version of this story indicated Scotty was bigger by 200 kilograms. In fact, he was 400 kilograms larger.